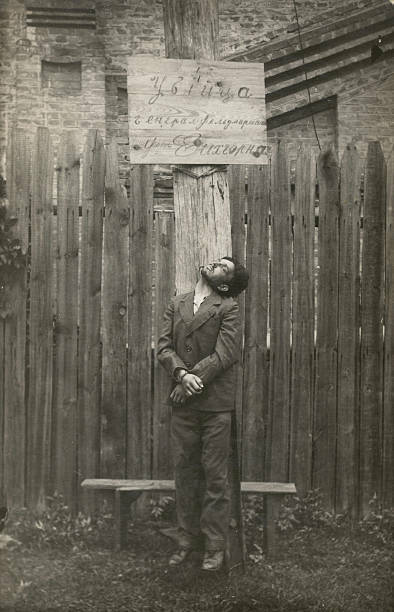 Ernest Harrison, Sam Reed and Frank Howard, confessed to the murder of Washington Thomas, an aged, respectable colored man. 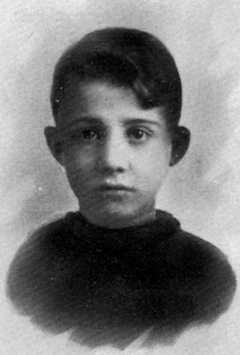 Thomas was employed in a tobacco factory, and Saturday night [September 10, 1911] the three men waylaid him along the railroad track, killed him and robbed his clothes of his salary. 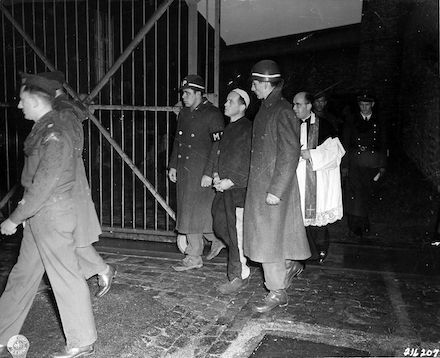 They were speedily captured and placed in jail. 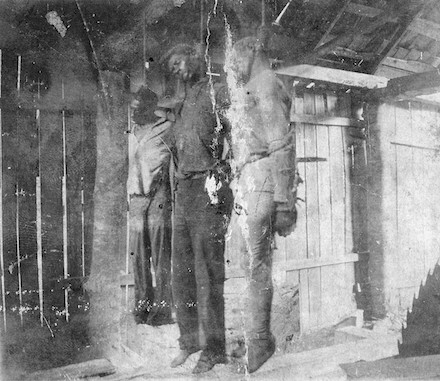 During the night the colored people of Wickliffe [Kentucky] held secret meetings and decided to lynch the murderers. Everything was quietly done. 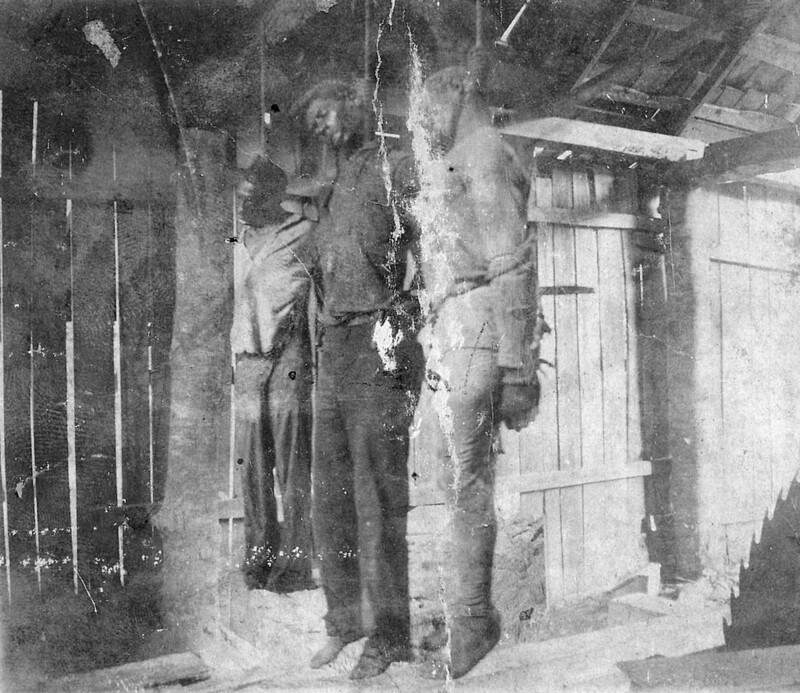 The bodies of the lynched men were left hanging until noon today, and there will be no effort by the authorities to apprehend the executioners. On this day in 1942, one year and four months after the Nazi invasion of the Soviet Union, almost all of the Jews in the village of Trunovskoye in rural Russia were murdered and buried in a mass grave a few kilometers outside the town limits. 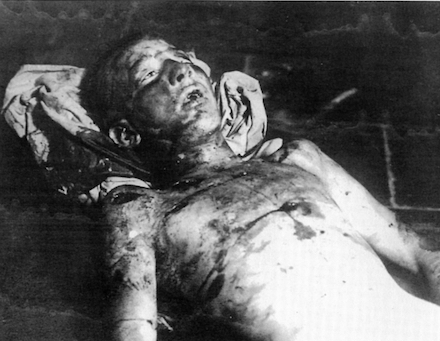 Several months later, after the Red Army had liberated the area, they had the locals disinter and re-bury the bodies. 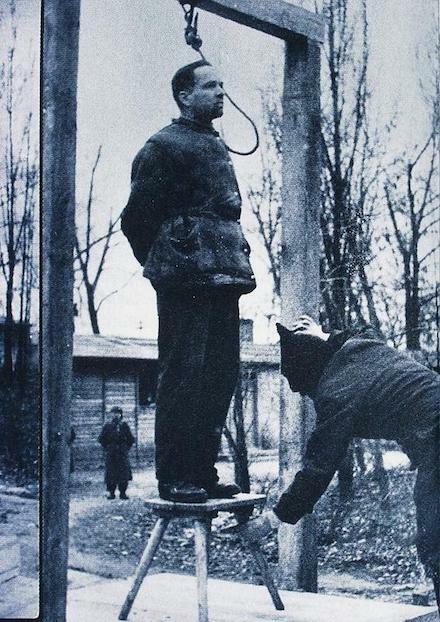 This mass execution is somewhat unusual in that it didn’t happen via bullets, as at Babi Yar and many other places in the occupied Soviet Union, but via a mobile gassing chamber or gas van. 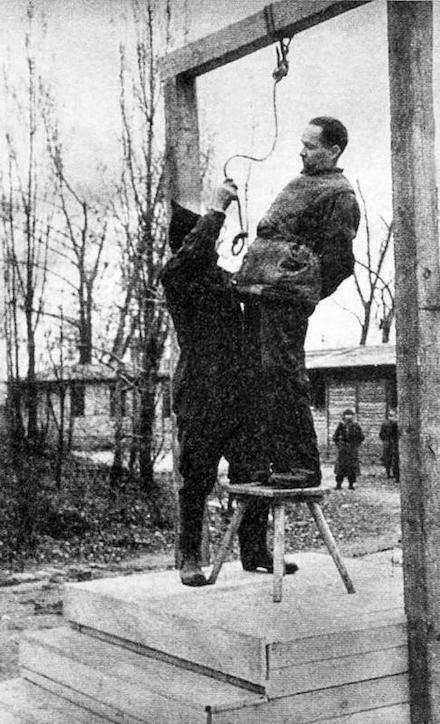 These relatively primitive machines were actually invented by the Soviets and used by them as a form of execution before being adopted by the Nazis after the psychological impact of mass shootings was deemed too stressful on the perpetrators. The gas vans had airtight compartments which could hold between 30 and 100 victims each. 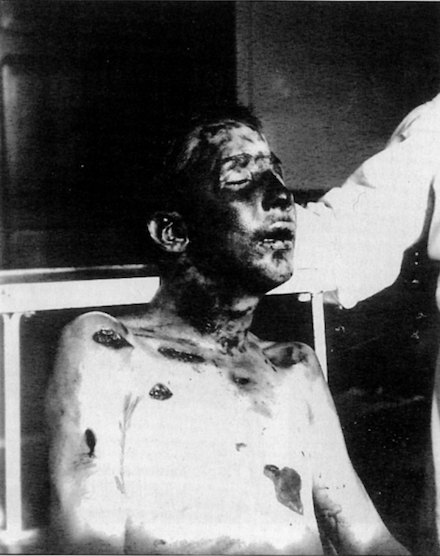 People were shoved inside and gassed with carbon monoxide until they died of suffocation. 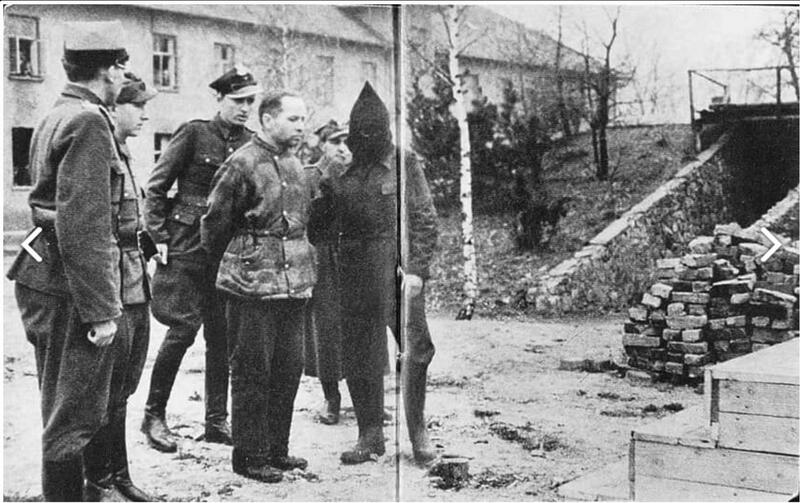 Gas vans were initially used by the Nazis’ mobile killing squads and at Chelmno, the first of the extermination camps. But they were slow and inefficient, and the screams of the dying disturbed and distressed those driving the vehicles. 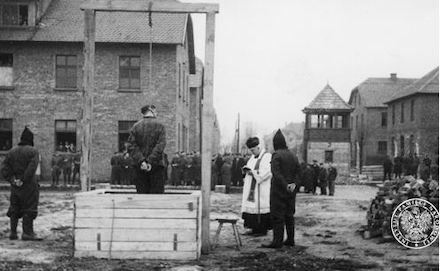 In time they were replaced by gas chambers, which could kill people more quickly and cleanly. 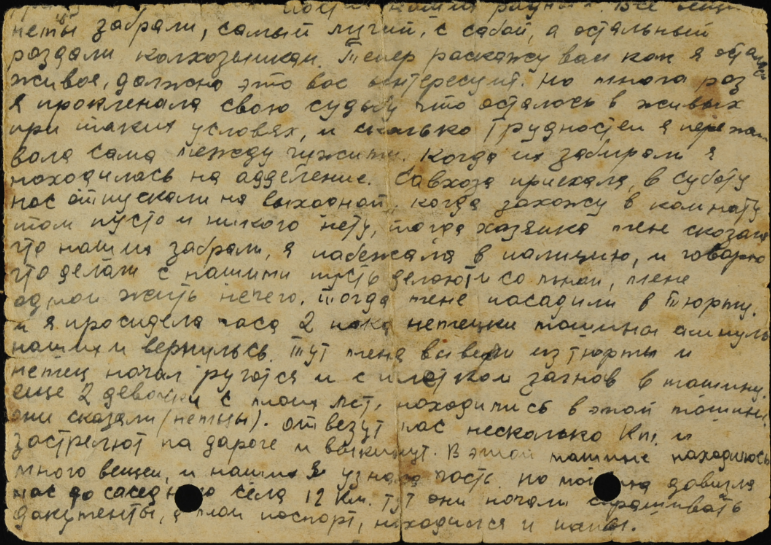 What we know about the mass murder in Trunovskoye comes from a letter written by sixteen-year-old Anna “Nyura” Rabinovits in 1943. She was one of the only Jewish survivors from the area; she lost most of her family. Originally from Kishinev (Chisinau), she was evacuated with her family to Trunovskoye in the summer of 1942. After liberation, in January 1943, she wrote to Moshe “Misha” Shapira, a relative by marriage, to tell him of what had happened. 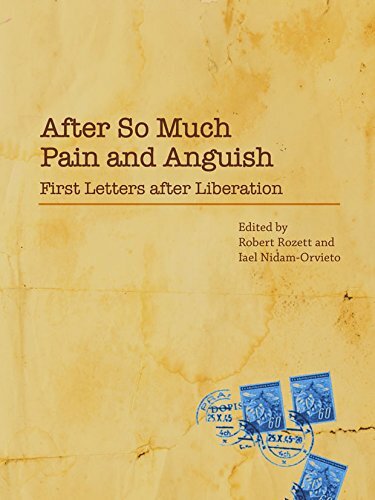 Her letter, translated from the Russian, eventually found its way into the Yad Vashem archives and was published in the anthology After So Much Pain and Anguish: First Letters After Liberation, edited by Robert Rozett and Iael Nidam-Orvieto. The letter is worth quoting in full, with paragraphs added for clarity. Note that Nyura twice erroneously cites the date “October 18, 1943”; the murders occurred on October 18, 1942. She also refers to the village of Trunovskoye as “Trunkova”. Yesterday I received Misha’s postcard and today I received yours. As you can see, I’m rushing to respond. I am going to tell you about the end that befell our dear ones. I cannot understand how some of our people are till alive. We were still living in Trunovka when the Nazis came. We were all evacuated along with the Grinberg family. Yevochka had a child, a boy who was one year old. What an end befell him! The Nazis caught us and made us return, but we did not return to the place where we had lived but stopped here, where I live now, 20 km from Trunovka. We lived here for two months under the Nazis and all of us worked on the kolkhoz. We lived in separate apartments but I went to work every day together with Yevochka and Adochka. 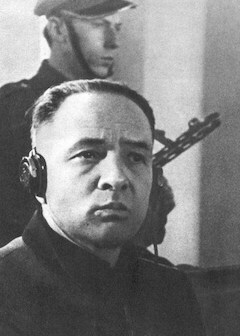 Boris Isayevich was sick but when he recovered, he too went to work on the pig farm. Our only grandmother and Maria Naumovna remained at home. Yevochka’s grandmother had died back in Trunovka, after several days of a severe illness. When we had been here for over a month, an order was issued for all the Jews to be registered. Then, several days later, a murder squad arrived and we were all ordered to appear at the commandant’s office with our belongings. We took our stuff and went. Two cars had arrived from Voroshilovsk [a short-lived Bolshevik name for the city that was reverted to Stavropol in 1943 -ed.] with six Germans. We were called into a room, each family separately, to be registered. Afterwards, they said, “Take your things and go home. When we need you, we will find you.” We were all very happy. We returned home and continued to work on the kolkhoz. The kolkhoz had sent me to work at the kolkhoz office. I myself did not see it. A cart with policemen arrived and ordered them to put all their things on the cart. Grandmother and Adochka were at home. They took everything and went to the Grinbergs, where they took Yevochka and her child and Marya Naumovna and all their things as well, and got onto the cart. They were taken to the police station, where there already 55 people. Dad and Boris Isayevich were out in the steppe, but they were brought in from there. [?] ordered them to take off their clothes and brought a truck to the door of the barn and told them to get in the truck, but they resisted. They cried and shouted, so the Germans started beating them with whips and pushed them into the truck. They left six men to have someone to bury them. The truck was made of iron and closed in. At first, when they got in, they shouted, but when the doors were closed, all the voices gradually became silent. They were taken two km from the village and then thrown like dogs into a pit, where they lay one on top of the other. People told me all this, but I didn’t believe it at the time. I hope that they might be alive and that I would yet hear something about them. But a long time passed and I heard nothing from them. 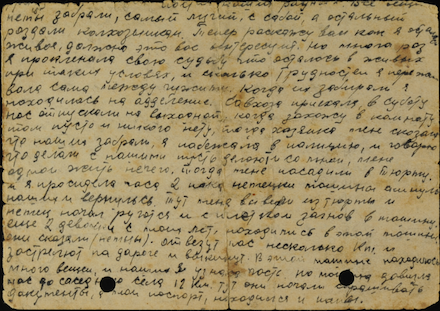 A section of Nyura’s original letter (click for larger image). On the road I met many people from whom I found out that they were going to bury the Jews who had been murdered by the Nazis. When I heard this, I began crying, but then the superiors, including a head of the district executive, started chasing me away and wouldn’t let me come to the grave, but at this point I did not pay attention but kept going. People showed me exactly where the place of the grave was; it could be seen. When I arrived, I could see [parts of bodies] covered with earth: [?] hands, legs and heads. I cried a lot and when people came to move them, I had already calmed down and was able to do this. A huge grave was dug for them not far from there and they were placed in a line close to each other, and then they were covered with earth. When we started taking them out, on the top were lying [the bodies of] the men who had probably covered them with earth and then, themselves, had been shot with machine guns. Can you picture Dad having covered [the body of] his daughter Adochka knowing the end that was awaiting him? Their faces had all decomposed. Only the bodies and the hair remained. For that reason I couldn’t be sure about identifying them, but I believe I recognized Yevochka and the child in Maria Naumovna’s arms. I also found Dad, Grandma and Adochka. I carried them myself on a stretcher to the new grave. People said that the Germans had killed them with gas, that those trucks had a special apparatus for poison gas to kill people … The best possessions had been taken while the rest had been divided among the kolkhoz members. Now I will tell you how I survived. That should be of interest to you. Nevertheless, I cursed my fate many times for having survived under those circumstances. It was so hard for me to survive all alone among strangers. When they [our family members] were taken, I was at the kolkhoz office. I arrived on Saturday and we had the day off. I entered the [family’s] room. It was empty. There was no one there. The landlady told me they had been taken away. 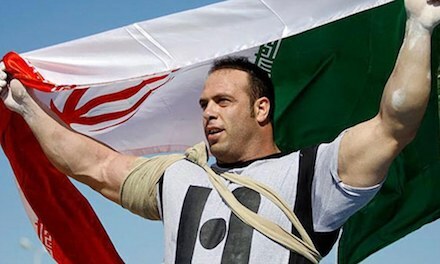 I ran straight to the police and said to them, “Whatever you did to my people, do it to me too. 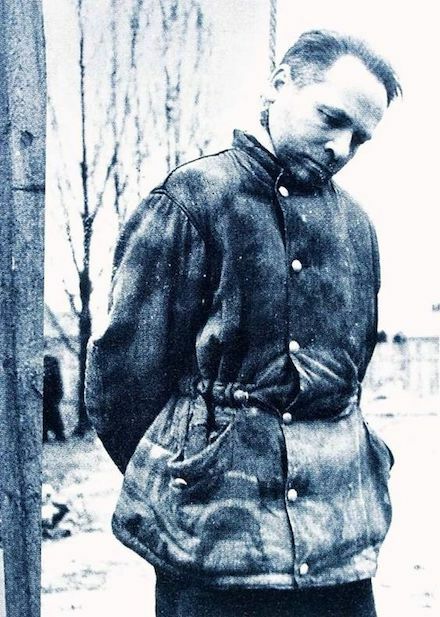 I have nothing to live for.” They put me in jail, where I remained for about two hours until a German [?] truck came and they took me out of the jail. The German started swearing and forced me with a strap to get into the truck. There were two other girls my age in the truck. 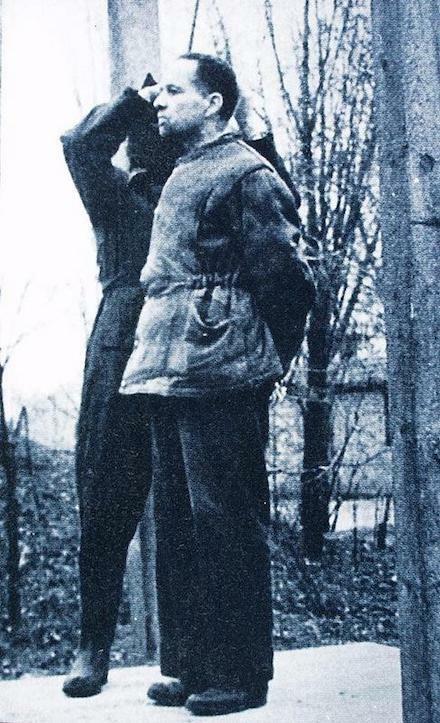 They [the Germans] said that they were going to take us a few kilometers from there and shoot us on the way and throw out [our bodies]. There were many things in the truck, including some of our belongings I recognized. However, the truck took us to a nearby village 12 kilometers away. There they asked for my documents, but Dad had my passport [i.e. identity card where ethnicity was indicated]. I had no documents at all, so I said that my mother was Russian and my father — Jewish. They let us go and wrote to the local authorities not to bother us, me and the other two girls, anymore. But a month later, when the Jews were taken from this nearby village, they took us too. I could see them being taken and pushed into a truck but they let us go and gave us German documents stating we were not Jewish. I remained alone in an unfamiliar place, where I didn’t know anyone, with absolutely nothing, with no bread for the winter, and I had to go barefoot in the snow. I worked at [? ], ate boiled wheat, I didn’t see any bread … Can you imagine, Aunt Liza, what I went through? I wept for my dear ones. I regretted that I was alive. Now I work as an accountant at a transportation office. The food is not bad. There is as much bread as I want. The kolkhoz allotted me a hundred kilograms of wheat and I got myself some clothes. I bought myself a skirt, a blouse and a sheet, from which I am going to make four blouses for myself. In the course of the whole year, I amassed 450 “working days” but they give [?] bread. My brother Lyova sent me 800 rubles, but I have not yet bought anything with them. This winter, I think life will be easy for me. I have written everything in detail, as you asked me to do. With this letter, I am responding to your postcard and to [Uncle] Misha’s letter. I am grateful to you for having written to me and for your having found out that some of our relatives are still alive. I get letters frequently from Lyova. He’s at the front now. Write me how you are, where your Lyova is and what Sarochka does for a living. Write me whether you have heard anything from Grisha or Fima. Write everything in detail. The letter you sent took 20 days to reach me, while I expect you will receive mine by the anniversary of the murder of the members of our family, which took place on October 18, 1943, at 11 o’clock in the morning. What a tragic fate our family has had! I will visit their grave on that anniversary. By now, at the time that I am writing to you, I have been accustomed to the idea that they are gone. I don’t shed as many tears as I used to. Before, wherever I went, whatever I did, I saw them, lying there dead, and the tears in my eyes never ceased. I have now finished writing. Goodbye. Kisses to you and warm embraces to Misha and Sara. Little is known about Nyura; the Shapira family lost touch with her after the war. She ultimately married a man named Goncharov and returned to Kishinev. She was still living there as of 2009, when she submitted pages of testimony for her murdered sister, father and grandmother to Yad Vashem’s Central Database of Shoah Victims’ Names. As far as is known, there is no memorial at Trunovskoye for the Jews who died there.